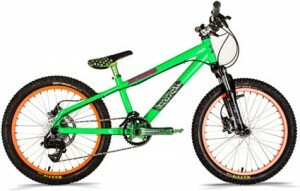 Got a mountain biking grom between the ages of 5 and 9 on your list and wondering what they’d like for Christmas? The answer is a bike. The answer is ALWAYS a bike. But what bike? Well, that all depends on how much you’d like to spend so we’ve created a little guide to what we feel are the best bikes in the market at their respective price-points. 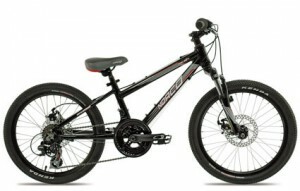 For $490, the Norco Ninja is a great starting point for your little grom, an aluminium framed bike with 6 gears, front suspension, and disc brakes. This bike straddles the line between ‘kids bike’ and ‘grom bike’, the former being a bike for just any kid and the latter for the discerning rider of diminished height and weight. While some may look at this bike and see some lower end parts, others will see a frame with standardized sizing (making replacement/upgrade parts easy to find) and parts that are inexpensive to replace. The value of this last point can’t be understated as wether your grom is learning to ride trails or learning to ride the big line at the dirt jumps, they’re going to break parts. Check it out at Norco’s website. The Hot Rock has been around for ages in various incantations, and while there are many Hot Rocks with 20″ wheels, it’s the Pro that really stands out, especially at it’s $690 pricepoint. 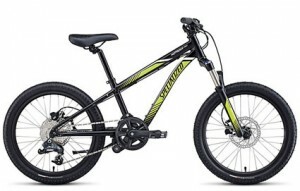 It features hydraulic disc brakes offering more power for smaller hands, and air suspension fork which is lighter and provides more adjustments for the ever changing weights of growing riders, and a full 9-speed drivetrain. Specialized Hot Rock 20 Pro at specialized.com. We’ve written about it before and you can read more of our impressions here. 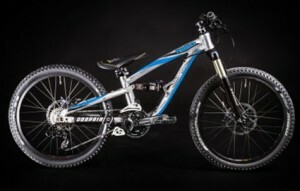 Promain is a brand that is hardly known outside of Europe, which is a shame because their Frechdax 3 looks like an amazing bike for groms looking to push the grownups. At $1399 Euros (which works out to around $1900) this is the cheapest full suspension bike on the list and it doesn’t cut corners in the spec. 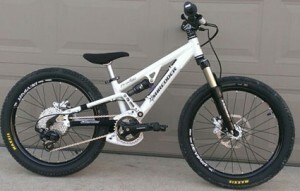 Spinner Air fork, RS Monarch shock and Avid Elixir brakes make this a very serious ride. It’s one shortcoming is that it’s initially spec’d as a singlespeed which really has no place in a bike of this caliber. That can be rectified, however, by stepping up to the Frenchdax 2 for about $2200 which gets you a few upgrades including a SRAM X5 drivetrain. More information at Propain’s website (german). Head up to Whistler in the summer and you’ll see more more 20″ riding groms on Lil’Shredders than any other bike, and for good reason. Lil’Shredder was a pioneer in making high quality bikes for groms, and they continue to be the gold standard. $2500 gets you an aluminium frame that’s tuned for smaller bodies and an uncompromising parts specs. While some may balk at spending almost as much for a 20″ bike as they would for a full-sized mid-range performance bike, it’s not much of a stretch considering the amount the grom you’d buy it for would use it. Learn more about the Prodigy at Lil’ Shredder’s website. In the end it really doesn’t matter which bike you get your grom so long as it gets them riding.